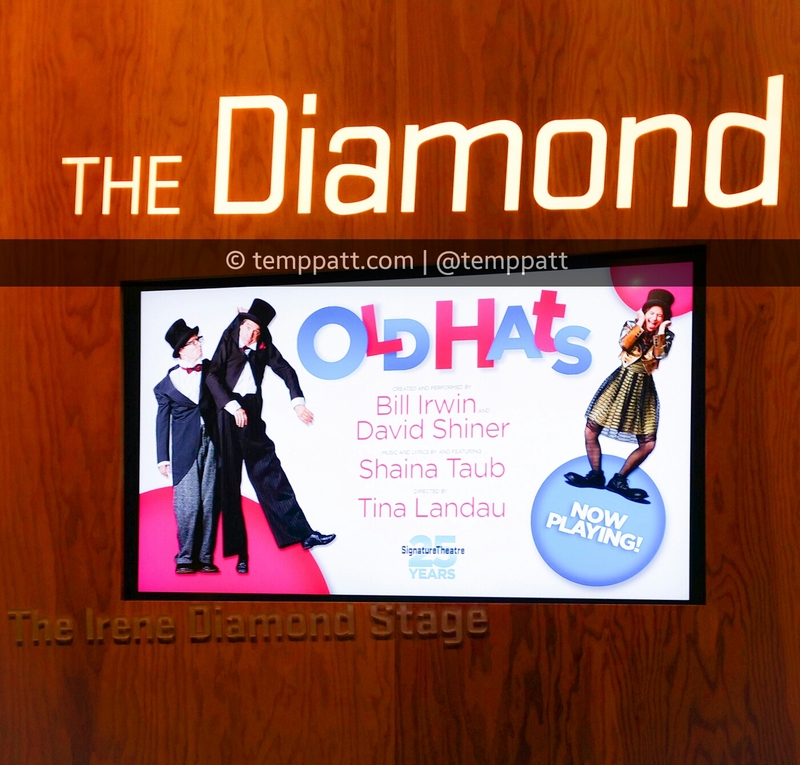 Old Hats is an award-winning, critically acclaimed production starring comedic clowns Bill Irwin and David Shiner. The show was extended after a sold out run in 2013. This time around songstress Shaina Taub joins the duo to complete your musical comedy experience. The production will make you laugh at slapstick, magic and more with assistance of music and technology. Bill Irwin and David Shiner showcase a variety of characters throughout like politicians, feuding businessmen and even a magician and his assistant. In between skits and sometimes during skits, Shaina Taub and her band delivers enjoyable original music that has a quirky cheerful dark feel. Shaina Taub and her band even keeps you entertained if you decide not to leave the theater during the 15 minute intermission. Old Hats running time is about 2 hours but believe me the time unfortunately flies by due to nonstop entertainment. Bill Irwin and David Shiner are hilarious. They perfectly preform physical comedy, use props and play off of the audience. Some audience members are lucky enough to hold props or join the legends on stage during a skit. 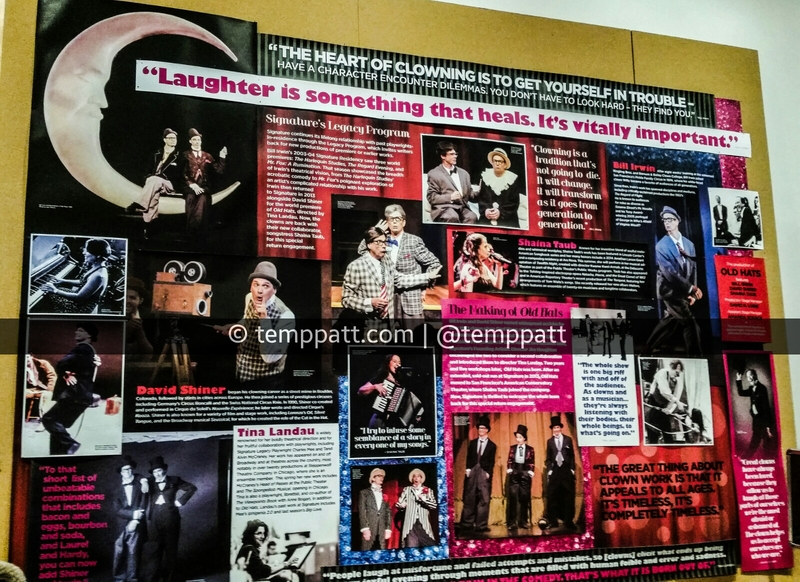 Old Hats is a can’t miss for anyone who loves slapstick clowning, physical comedy or fun quirky music. This show will definitely lift your spirits as you laugh out loud at the masters of clowning. 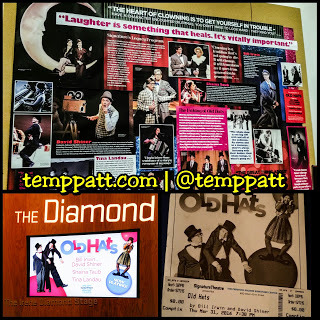 Old Hats is playing now through April 3, 2016 at the Signature Theatre. For more information or to purchase tickets, visit signaturetheatre.org. 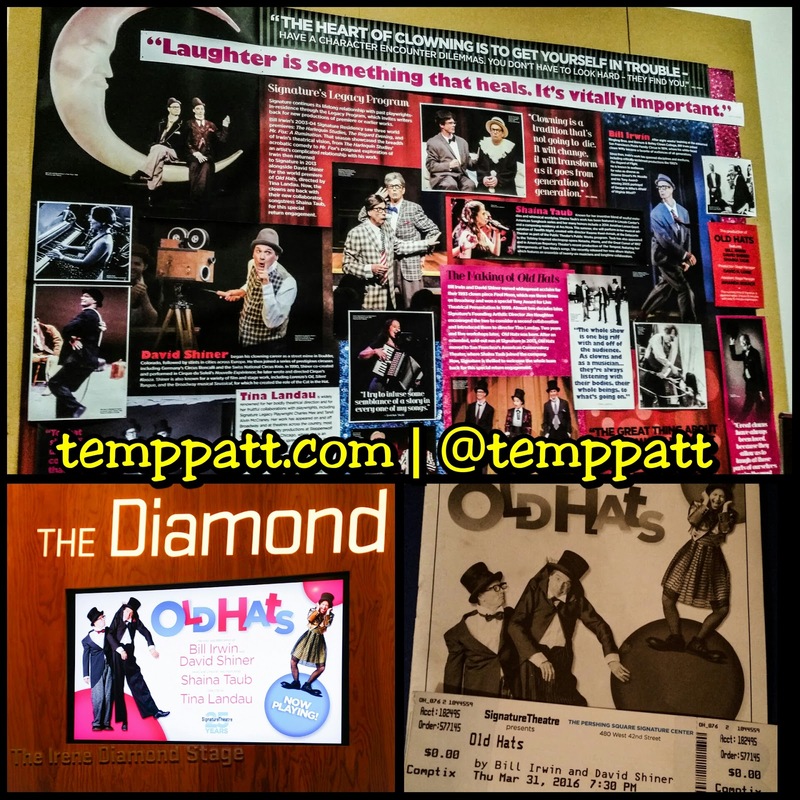 This is a live review of Old Hats from March 31, 2016 at 7:30 pm at Signature Theatre. I was not compensated for this post. Reviews are based on personal opinion and not influenced in any way. Comments concerning reviews from attendees about their opinion is encouraged and welcome through the comment board. Hope to catch this when I get to Chicago.